The Texas Football team has enjoyed itself all season long, and sits at the precipice of proving how far the 'Horns have come (Photo courtesy of texassports.com). NEW ORLEANS – New Year in the Big Easy. Saying that just rolls off the tongue, whets the appetite for fun and great memories, even with the challenges and caution such a big trip brings into play. Texas had a breakthrough, return-to-prominence campaign this fall to garner an invitation to a New Year's Six bowl game – a dustup against Southeastern Conference powerhouse Georgia in the 2019 Allstate Sugar Bowl at the Mercedes-Benz Superdome in New Orleans. It’s quite a present for a Texas program that hasn’t left the Lone Star State for a bowl game since 2010, and stokes recollections of flowery past postseason trips that really meant something. Do you remember where you were when the Longhorns lost to Alabama at the Rose Bowl in the National Championship Game? While the No. 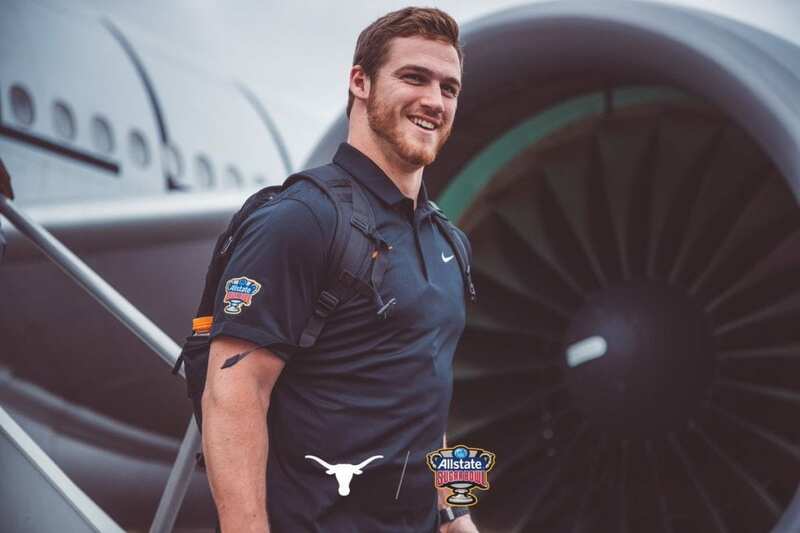 14 Longhorns have enjoyed their share of success this season, their final grade – like a report card for the program’s resurgence – will be determined, fairly or not, by their play on the big stage against the No. 5 Bulldogs. “We do want them to enjoy the time in New Orleans – our team has earned this,” Texas coach Tom Herman said Thursday. “This is a tremendous bowl game and a tremendous city. But we also know that we've come here with a job to do, too, and that's to win the Sugar Bowl championship." It might be semantics as far as numbers go but finishing the year at 10-4 and with a victory over Georgia, a team that’s likely good enough to have been included in the College Football Playoff, sounds miles better than ending the season at 9-5 and with back-to-back losses. To get to that 10th win, Texas will continue to focus on its game-to-game mantra and try to put all the hoopla that comes with playing in a bowl game as big as the one in New Orleans on the back burner – Bourbon Street, Dixieland Jazz, Big Muddy and all those other NOLA distractions be damned. The Longhorns headed to New Orleans after a 39-27 loss to Oklahoma in the Big 12 Championship game in Arlington on Dec. 1. 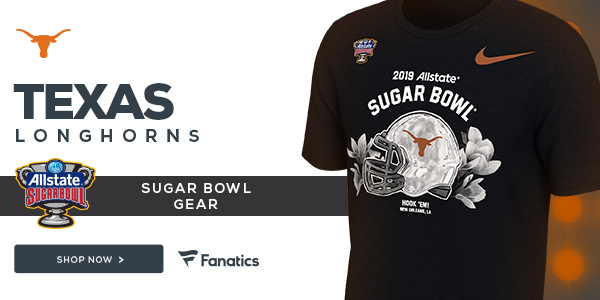 Texas will be playing in its 55th all-time bowl game and enjoying its fourth appearance in the Allstate Sugar Bowl. He has led his programs to bowl games in all four seasons he has been a head coach, two at Houston and now both years at Texas. 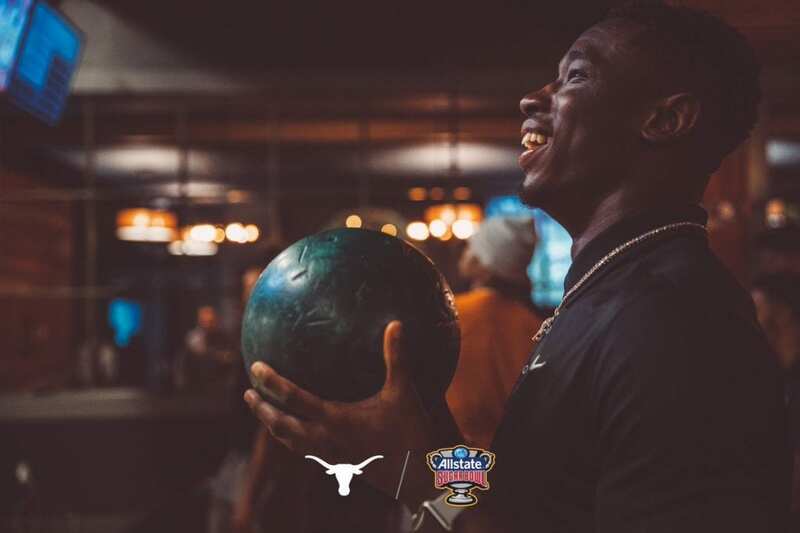 In fact, Herman and the Longhorns went bowling in New Orleans Thursday as a way to let loose before the big bowl game in a few days. 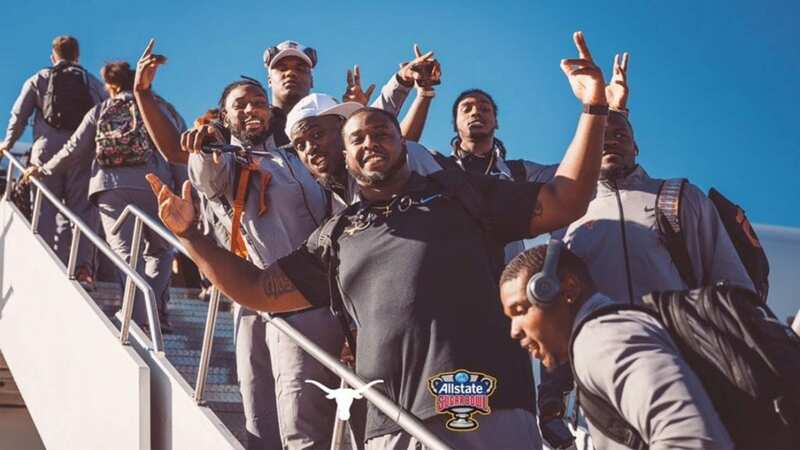 The Texas Football team went bowling in New Orleans Thursday evening ahead of its big bowl game on New Year's Day (Photo courtesy of Texas Sports). The 2019 Sugar Bowl will be Herman's second New Year's Six bowl game, as he guided Houston to the 2015 Peach Bowl in his first season as a head coach. 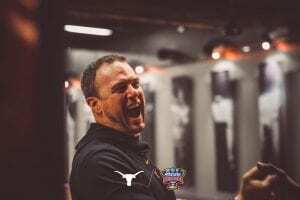 In his first season on the Forty Acres, Herman led the Longhorns to a 33-16 win over Missouri in the 2017 Texas Bowl. This season, Texas has played in nine, one-possession games in 2018, going 6-3 in such games. Prior to the loss in the Big 12 title game, the Longhorns’ three regular-season losses came by a combined nine points. Texas has defeated four ranked teams in 2018, tied for second-most in the country. Despite playing the CFP-bound Sooners twice this season, Georgia will be the Longhorn’ biggest test. The Bulldogs are 11-2 overall and lost to top-ranked Alabama, 35-28, in the SEC Championship game on Dec. 1 in Atlanta. Georgia’s only other loss this season came in the state of Louisiana on the road at LSU, 36-16, in mid-October. Georgia also has four wins over ranked opponents this season. Last year, in coach Kirby Smart's second season at Georgia, the Bulldogs were defeated by Alabama in overtime in the National Championship Game. The most talked about matchup of this game is likely the Texas offense versus the Georgia defense, which should be a battle of wills and played out by uber-talented players on both sides of the line of scrimmage. Andrew Beck stands tall as one of Texas leaders this season (Photo courtesy of Texas Sports). The Longhorns want to be able to run the ball to shorten the game and limit Georgia’s offensive possessions, but that will be a tall task against a Bulldogs defense ranked 13th nationally by giving up just 311 yards per game. Lil'Jordan Humphrey will be a handful for Georgia's defense (Photo courtesy of Texas Sports). Georgia cornerback Deandre Baker, the Jim Thorpe Award winner, is skipping the Sugar Bowl in order to focus on the 2019 NFL draft. That means more room to run for Longhorn standout wideouts Collin Johnson and Lil'Jordan Humphrey, who have aspirations of playing at the next level themselves. The Longhorns are 3-1 against the Bulldogs all-time, with Texas posting wins in the 1949 Orange Bowl and in both games of a home-and-home series played in Athens and Austin, respectively, in 1957 and 1958. Perhaps most memorably, Georgia defeated Texas in the most recent matchup, a 10-9 victory in the 1984 Cotton Bowl, that ultimately cost the Longhorns (who were undefeated heading into the game) a national championship. The two programs recently scheduled a future home-and-home series, with Georgia coming to Austin in 2028 and the Longhorns returning the trip to Athens in 2029. The Allstate Sugar Bowl will be a homecoming of sorts for the three Longhorns on the roster who hail from the Pelican State: junior DE Malcolm Roach is from Baton Rouge, junior DL D’Andre Christmas-Giles is from New Orleans (St. Augustine), and junior DL Gerald Wilbon is from St. Rose, a suburb of New Orleans. Steve Habel is a senior contributing writer for Horns Illustrated. He has covered Texas sports since 1989 and was this magazine’s senior editor for 24 years. You can follow him on twitter @stevehabel . 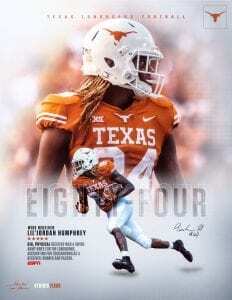 © 2012 - 2019 Horns Illustrated | Texan Media L.L.C. All Rights Reserved. Subscribe | Lost your password?